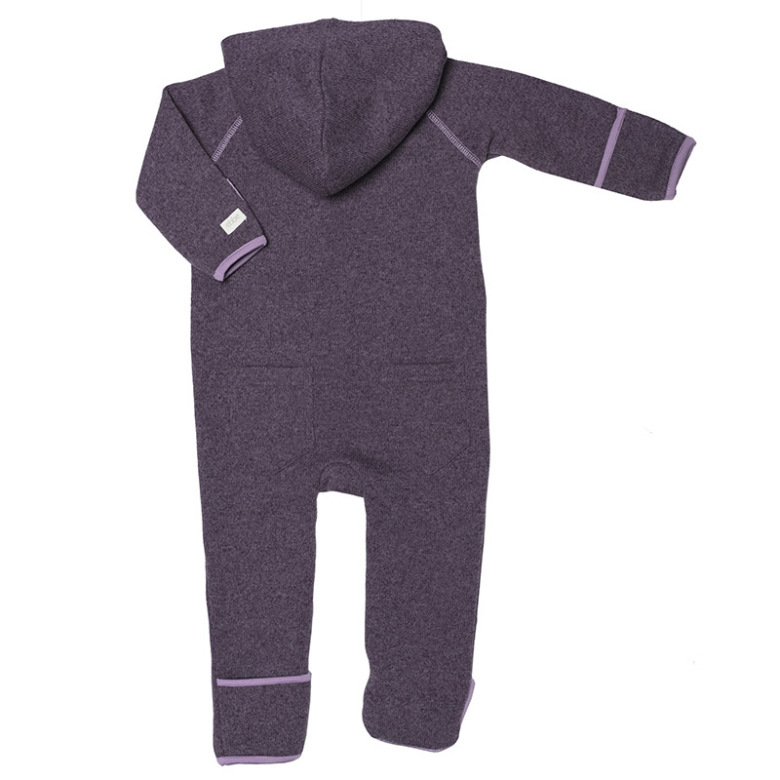 Long sleeve bodysuit with a comfortable and relaxed fit, raglan cut and soft inside with brushed fleece. Hood with lining, edges with binding and zipper at front. Foldable ´pockets´ at sleeve- and leg end as an extra function to warm hands and feet. Decorative embroidery of the letter "e" on ebbe´s signature pocket at the back. Small label with logo in imitated leather at zip puller. 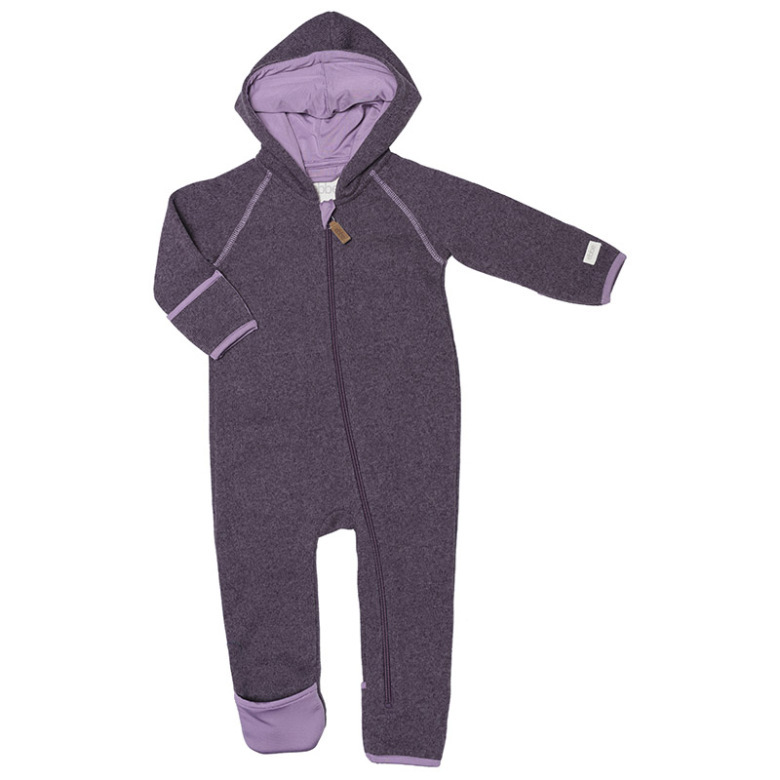 Knitted fleece in polyester with soft brushed inside. Wash instructions: Machine wash 30 degrees mild process. Think of the environment and the sustainability of the garment by avoiding softener.